We offer a variety of bamboo reed flutes from India and China--plain flutes, rabbit fur flutes, coyote fur flutes, raccoon tail flutes, decorated flutes, etc. Click on the selection below for more information on each type of flute. These flutes are about 14" (35.5 cm) long and 3/4" (2 cm) wide. They have six holes and a mouth piece. 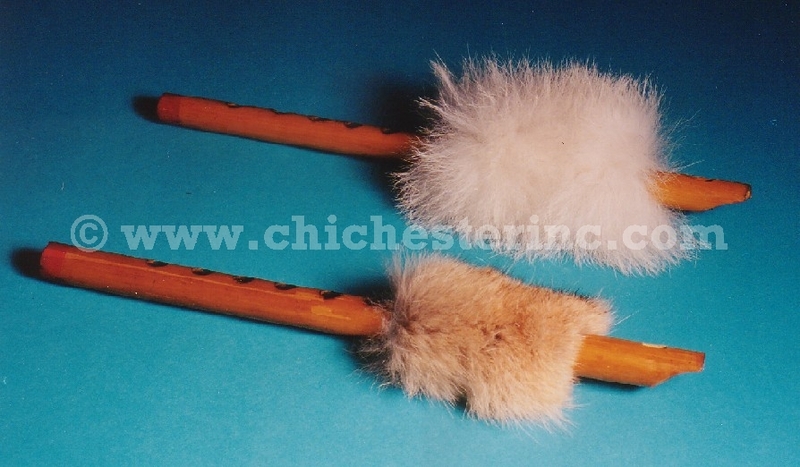 The flute shown above has coyote fur on it.